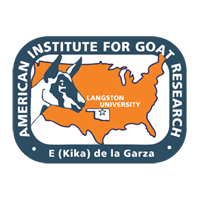 Yearling Boer x Spanish goat wethers (40) were used to develop and compare body composition prediction equations for mature meat goats based on urea space (US) and body condition score (BCS). Before the experiment, one-half of the animals were managed to have high BW and BCS (1-5, with 1 being extremely thin and 5 very fat) and the others were managed to have low BW and BCS. During the 24-wk experiment, initially fat wethers were fed to lose BW and BCS and initially thin wethers were fed to increase BW and BCS. BCS, US, and whole body chemical composition were determined after 0, 12, and 24 wk. Mean, minimum, and maximum values were 42.1 (SE = 1.12), 24.5, and 59.0 kg for shrunk BW; 3.0 (SE = 0.11), 1.5, and 4.0 for BCS; 61.3 (SE = 1.01), 53.7, and 76.5% for water; 20.2 (SE = 1.11), 4.7, and 29.7% for fat; 15.6 (SE = 0.19), 13.3, and 18.1% for protein; and 2.9 (SE = 0.062), 2.2, and 3.7% for ash, respectively. For water, fat, and ash concentrations and mass, simplest equations explaining greatest variability (with independent variables of US, BCS, and(or) shrunk BW) based on BCS accounted for more variation than ones based on US, although in some cases differences were not large (i.e., water and ash concentrations and mass). Neither US nor BCS explained variability in protein concentration. Equations to predict protein mass based on shrunk BW and US or BCS were nearly identical in R2 and the root mean square error. A 1 unit change in BCS corresponded to change in full BW of 8.9 kg (full BW, kg = 17.902 + (8.9087 BCS); R2 = 0.653), fat concentration of 7.54% (% fat = -5.076 + (7.5361 BCS); R2 = 0.612), and energy concentration of 3.01 MJ/kg (energy, MJ/kg = 0.971 + (3.0059 BCS); R2 = 0.615). In summary, BCS may be used as or more effectively to predict body composition of meat goats than US. The primary determinant of BCS, within the range of BCS observed in this experiment, was body fat content.